3 new members have joined the security team, one assistant was promoted to full staff member. 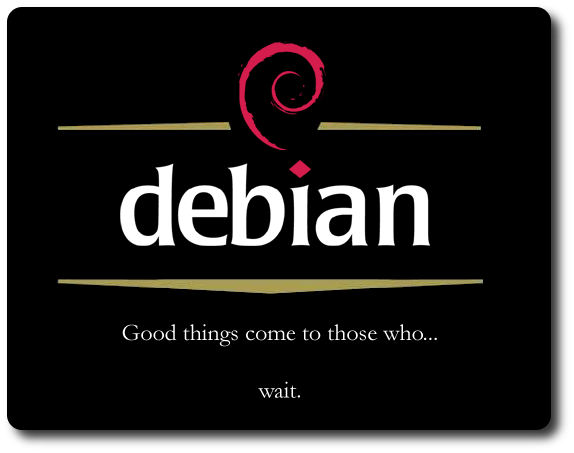 Debian (debconf + d-i) now supports 58 languages, 19 are in progress, "lenny" will likely support 77. When will Lenny be released? See you today at 11:30 when I talk about "vcs-pkg", (Debian) packaging with version control systems! How could we improve Debian further? And thanks to the people who helped me prepare this: Andreas Tille, Michael Banck, Kevin Mark, Josip Rodin, MJ Ray, Cyril Brulebois, Stefano Zacchiroli, Frans Pop, Moritz Mühlenhoff, Russ Allbery, Steve Langasek, Luk Class, Andreas Schuldei, Christian Perrier, and those I forgot to list. These slides, their design, and the content are © Martin F. Krafft and released under the terms of the CC by-nc-sa 2.5 licence. reStructuredText sources: slides.rst and ui/debian/*. Slides based on the S5 presentation system.